In order to perform our daily activities in Bombardopolis community and nearby neighborhoods. 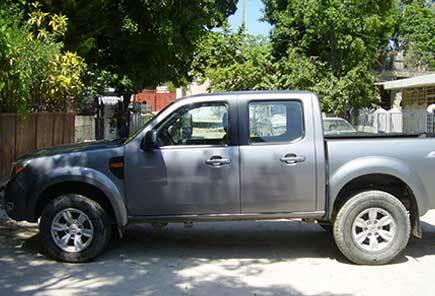 During a recent mission trip to Haiti, the Lord inspired a missionary to donate toward the cost of purchasing a pickup truck. It has been an answer to prayers for so many years. 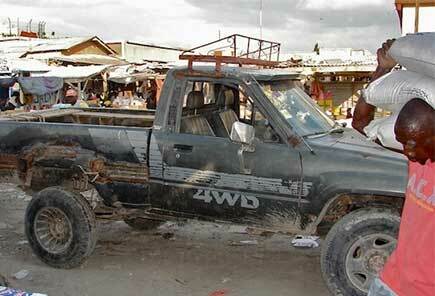 OIH had been renting pickup trucks for the cost of ~$1000/week, round trip from Port-au-Prince to the OIH location in Bombardopolis, northeast of Haiti. This price did not include the cost of gas and driver fee. No more renting cars or pickup trucks to transport materials and food to OIH, or transport children to the nearest medical center when needed. IThe above picture was one of the 2 vehicles that OIH rented in February 2010 to purchase food after the earthquaked of January 2010. OIH rented a truck or SUV every time we bought food and other supplies for the children. 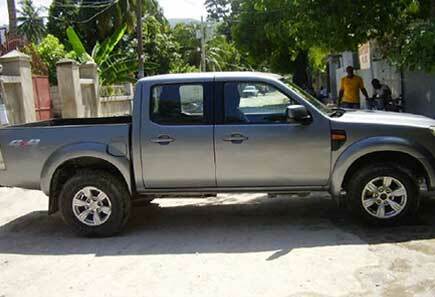 There are not many choices in Gonaive or Port-au-Prince of reliable vehicles to rent due to two reasons: short supply of vehicles in Haiti and the few rental places or individuals that allow vehicles through the long and dreadful roads to Bombardopolis. 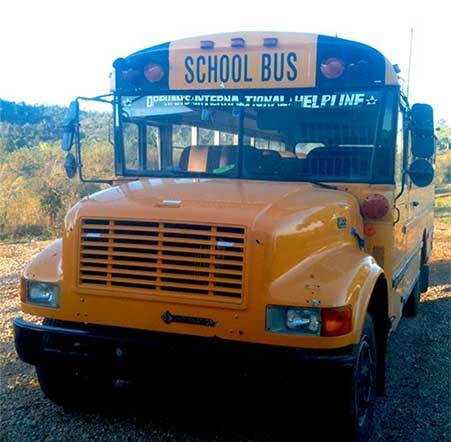 ITo eliminate the cost of renting transportation each time missionaries travel the OIH facility in Haiti, or when we need to transport the children anywhere, the OIH board approved the purchase of a mini school bus. Once again, an offer was made below the asking price. Initially, OIH was told that our offer would not be accepted because other offers had already been received that exceeded ours, and that they had been rejected. The OIH board once again prayed for God’s will to be done. 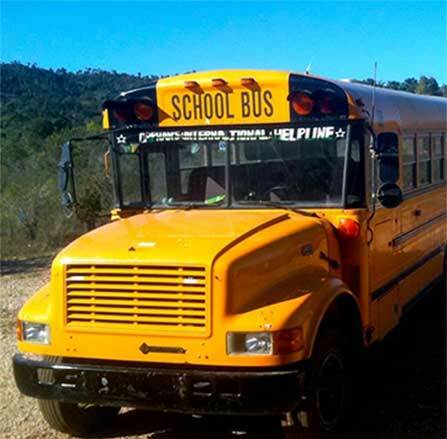 Several days later the school selling the bus called, indicating that their board had discussed OIH and would like to sell the bus to OIH at our offered price.